A walkie-talkie is a small-sized, hand-held, portable, two-way radio transceiver. It was introduced into typical business and communication practices many years ago. Their use in the everyday application was however limited due to the complicated technology that the ran on. These devices are now made very simple, portable and affordable in recent years. They are now given a better battery life. This has been very beneficial as now their use has become easier which has served as a means of saving a lot of labor-hours and have emerged as very promising devices for just any sort of communication. The key to getting the best walkie talkie is to make sure that you know what you need it for. Once you have determined its use, it would be very easy for you to pick the best one that fits your needs in the right manner. The market offers a lot of models and a lot of types. A type might be a perfect choice for business use but a pathetic choice for personal use. So, the point here is that there is no ‘best walkie talkie’, it is you who choose the right one and make it best for your needs. 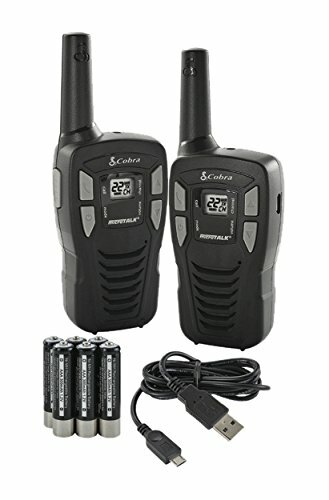 If you are a start-up business, never make the mistake of getting an FRS walkie-talkie because even though they will work perfectly for the first month but they will eventually begin to lose their battery life as these were not designed for daily use and the features that they specialize in are other than their battery. It is, however, advisable that follow a proper guide and do your homework before you actually go out and spend a handsome amount on this device. There is a list of things that you will have to consider and yet another list of things that you must avoid. Make sure that you select a device of a reputed company, reasonable price and most importantly something that coincides perfectly with your requirements. 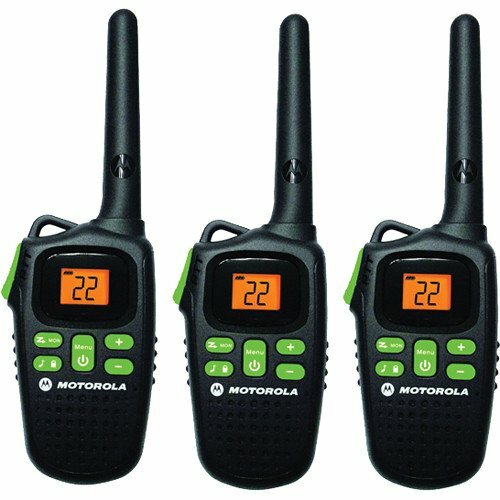 4 How To Choose Best Walkie Talkies? Frequency penetration can help you differentiate between UHF and VHF. VHF waves have a tendency to travel the distance which is about twice of what UHF can cover. However, VHF waves possess very weak penetrating walls and buildings. 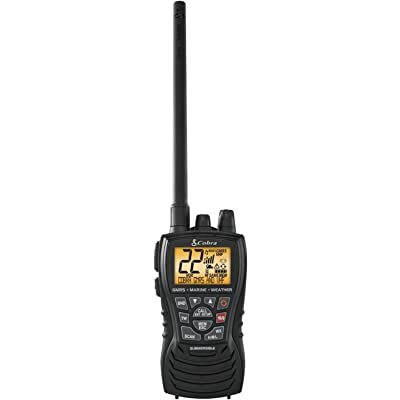 So, if your work is confined to outdoors, VHF walkie talkies are best for you. And in any contrasting situation, it is advisable to go for UHF walkie-talkies as the will be the best walkie talkies for you in that given scenario. If the use of the walkie-talkie is confined to a single building then it would be fairly sufficient that you use one that is a 1-watt walkie talkie. But in case the use of your device is expanded to 2 miles then it would be suggested that you use a 2-watt walkie talkie. So basically, to select the watts of your walkie-talkie, you must know what your use of it is and to how many miles it is confined. There is, however, a limitation to any walkie-talkie communication. Once this limit is exceeded, the use of a repeater is the advisable option. If you know that you and your fellows will be employing the use of just one channel at the same time, you will be in need of a 1-channel walkie-talkie. But if you are a part of a system such as a restaurant where you want different people to be on different channels, then you must go with a 2-channel walkie-talkie. This is a choice that you have to make based on the use of your walkie-talkie. The beat walkie talkie here would be the one that fits your requirement be it of 1 channel or 3. Walkie talkies that are used for business have a wide range and can range from units that are designed for restaurant use, to those which are designed for military operations. You will have to review all its specifications in order to determine that which one will suit your needs in the best manner. Being compact and lightweight, Midland GXT1000VP4 2-Way Radio is easy to carry around. The working of this two-way radio is pretty simple. There are 50 channels already programmed in this two-way radio. It comes with a rechargeable battery. In open areas with fewer obstacles, the range can go up to 36 miles. It is made up of durable plastic. There is a microphone along with an LED indicator. Due to its sturdy construction, it can be used outdoors with ease. There is a built-in LED flashlight as well. This radio is waterproof as well as being weatherproof. It has JIS4 weatherproofing. The radio comes with 387 privacy codes. SOS alert, eVOX, Direct Call, NOAA weather alerts all are the features which make this radio stand out. 50 channels with 387 privacy codes. The range of 36 miles. The batteries drain pretty quickly. 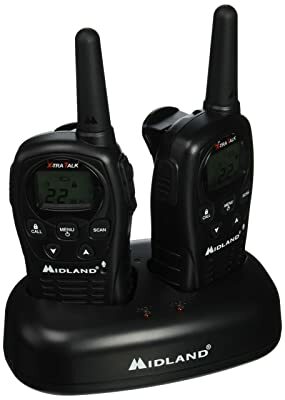 Midland- LXT600VP3 two-way radio is perfect for outdoor use such as hunting, mountaineering etc. It has pretty amazing features such as NOAA weather alerts. This radio is waterproof. The battery present in this radio is a rechargeable battery. There are 6 FRS channels in Midland- GXT1050VP4 with 121 privacy codes. The range of this radio is pretty large, with the radio functioning for almost 30 miles. You can use this radio in a hands-free mode as well. Microphone and a headphone jack are also present. The help of NOAA weather alert service you can get notifications regarding the weather conditions. There is a feature for group call on this radio. With the help of eVOX, you get voice activation in 3 levels. It comes with a channel scan. It has a silent-operation option that turns off all other tones. Some issues faced with the weather scan alert. Offers pre-set channel selection to its users. The controls in it are glove-friendly. The Cobra ACXT145 Walkie Talkie has several features. 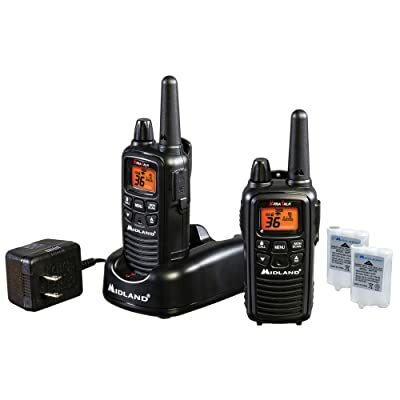 If you want to deliver emergency calls notifications, this is the perfect two-way radio. You can communicate for a distance of almost 16 miles. The communication is clear and pretty loud. This device is portable and comes with an added belt clip. It comes with an earpiece as well which gives the capability of hands-free communication. There are 10 built-in NOAA weather alert channels which provide coverage of all government operated weather channels. You get to hear a confirmation tone which is a way of showing that you have transmitted and the other person can now talk. This radio comes with a unique circuit which extends the life of the batteries. If there are no transmissions within 10 seconds, the unit will automatically switch to a battery saver mode. Provides alert for all incoming calls. Power saver present in it extends the life of the batteries. Do not come with a hands-free. The Cobra ACXT545 Walkie Talkie has a design which gives it an adventurous look. It comes with NOAA weather alert functionality which will keep up to date about the storms and weather conditions. There is a hands-free mode on this radio as well. It can be used underwater as well. It has a rubberized grip as well which makes it easy to use in water. It has a range of up to 28 miles. This walkie talkie comes with 262 combinations. Notifies you of all incoming transmissions. Uniden Atlantis 270 has a very great quality and can be used with a high level of ease. With the help of encryption protocols, your conversations can be kept private and are safe from interception. It is effective both as an indoor two-way radio and an outdoor two-way radio. With the help of voice command, you can work in hands-free mode. There are options for battery saving which as well will preserve the battery when not being used. You can get access to NOAA weather channels. It is waterproof and has JIS7 water protection. It is designed such that it floats and not sinks. The range is less relative to other VHF radios. GMRS 2-WAY RADIO is perfect for outdoor use such as hunting, mountaineering etc. It has pretty amazing features such as flashlight and NOAA weather alerts. This radio is waterproof. The battery present in this radio is a rechargeable battery. Being JIS4 waterproof, it can be used safely in rain, storms etc. without worrying about the radio failing. Up To 24 Mile Range. It has a very wide range. The radio is the ideal partner for all year use on water crafts, ATVs, Snowmobiles, travels, and numerous open-air exercises. The rough structure that Cobra is known for alongside the capacity to coast, makes this radio the most dependable when you require it. Record and tune in to a missed VHF call in the event that you don’t hear the main message. 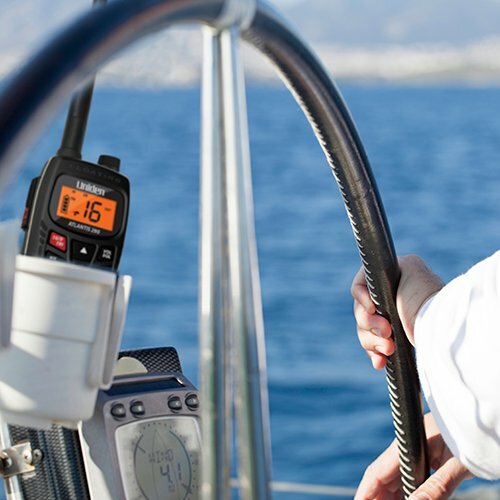 Never lose your radio again, the coasting configuration matched with the brilliant orange shading makes it simple to check whether dropped overboard. With this walkie-talkie, you get Climate ALERTS – with S. A. M. E. Climate and crisis caution if danger is adjacent. You can choose between 1, the 3-or 6-watt yield for short-or long-go correspondence enabling you to have premium sound and signal at any range up to 15 miles. It is designed such that it floats. It is designed to provide weather alerts and notify you if there is an emergency nearby. Notification alerts may malfunction at times. This walkie talkie supports Active Weather figures and energized climate radar. To boost remote communication, a Bluetooth sound headset bolster is present. You get Smart warnings and automatic uploads to Garmin Connect online system. Huge TOUCHSCREEN DISPLAY – 3’’ daylight intelligible touchscreen with double positioning. ABC SENSORS – 3-axis tilt-repaid electronic compass with accelerometer and barometric altimeter sensors. It is designed to notify you of the weather conditions. Its display is very large. Bluetooth Headset tends to be faulty at times. Motorola talk about radio is Weatherproof. It has an IP-54 rating. The design gives it protection from dust, weather conditions such as snow and rain etc. It has a Quiet Talk feature which allows the radios to communicate with other Motorola products that are compatible. With the Dual Power functionality, you can use this radio for a longer period of time. Motorola Talkabout radio not only looks pretty great but has a strong and sturdy built. The size of the buttons on this radio make them easy to use even with gloves on. There is a USB charger so that you can charge the radio inside your automobile. Comes with a mini USB charger. It may transmit white noise. How To Choose Best Walkie Talkies? The features of the Two-way walkie-talkies are different from each other. The usage instructions and compatibility of each are different. Since there are a lot of Two-way Radios available, it may seem difficult to choose the perfect one. Here are a few things which you should keep in mind and look for in Two-way Radios before you decide to buy the one you think is the best. The maximum distance for the transmission and receival of signals that is possible with the help of two-way radio is its range. The range depends on the type of radio being used, that is FRS radio has a maximum range of 6 miles while a GMRS radio has a maximum range of 50 miles. Moreover, the range which is given by the manufacturer is the range under perfect, optimal conditions. The real-time range of a two-way radio is going to be slightly different since there will be interference by obstacles, weather conditions etc. Two-way radios usually use AA/AAA batteries. Alkaline batteries that are meant to be disposed of after being used as well as nickel-metal hydride batteries which can be recharged are compatible with two-way radios. Some two-way radios have their own rechargeable batteries which come with the two-way radios. The batteries will drain fast if the output power of a two-way radio is high. The two-way radios which go into battery-saver mode after a while are a pretty good choice. You need to know how long your batteries will last after they will be completely charged. Knowing the time after which your batteries will drain plays a crucial role in determining how long you can go without a battery backup. Make sure you are stocked up on batteries, if your radio works on rechargeable batteries, or if they are rechargeable, how long will they go without a recharge. You don’t want to keep a battery on you, you can get a two-way radio that is capable of charging through a USB and works with a solar charger. The length of an antenna on the two-way radio is also important since the length plays a role in determining the range, plus the clarity of transmission. 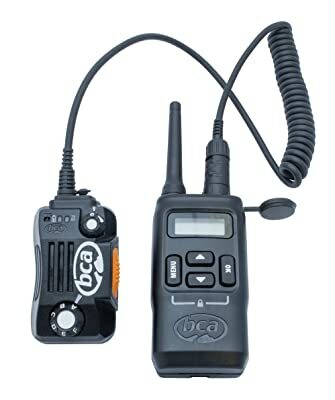 Some two-way radios have the feature of Voice Activated Transmit functions, VOX. With the help of VOX, you can use your two-way radio without using your hands. It is a better useful functionality in a radio, especially when you are hiking and need both your hands on the task. This feature automatically starts broadcasting when you begin to speak in the direction that is of walkie talkie’s consequently, letting you operate it without using your hands. This is best suited for you if you are a mountain biker or a skier. If your two-way radio is a weather radio, this means you can tune into the NOAA weather band stations where you can hear the local forecast and weather conditions. This feature is useful for everyone, but mostly campers and mountaineers can derive maximum benefit from it. Although two-way radios which have GPS functionality in them will be a little bit costlier, they allow you to navigation capabilities. 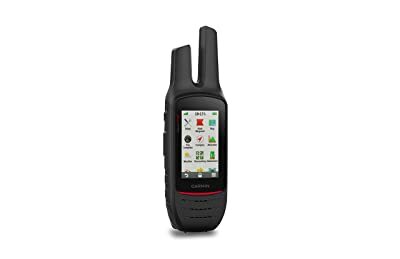 You can also have peer-to-peer positioning with these kinds of two-way radios with the help of which your location coordinates will also appear on the partner screen. It doesn’t matter if you are keeping your two-way radio in a small protective bag or are not using it quite often. Your two-way radio is going to come in contact with natural elements one way or the other. Waterproofing, safety from sun exposure, signal clarity in storms etc. are all things you need to keep an eye out for before you buy a two-way radio. If the place where you live, or the place where you are going for mountaineering or hiking is a cold area, you should know the operational temperature range so that you can know whether the radio will work at extreme temperatures or not. If you use the 22 channels available on two-way radios, it is possible that you will hear the transmissions from all people using the same channel, thus missing out on important communication. With the help of privacy codes, you can filter out those radio transmissions which don’t have the same channel and code as you. It is like another form of identification for your radio. Radios come with up to 120 privacy codes, and when they are combined with channels, you can get more than 2,500 possible combos. 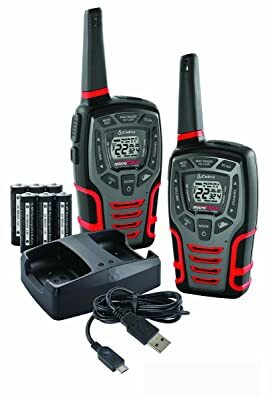 If you are going to use your two-way radios in a busy area, you should buy radios with a large number of privacy codes. Some two-way radios give you a notification or sound an alarm when the partner radio is going out of the range of communication. This is a pretty handy feature and you should look for this before buying your radio. When you choose a walkie-talkie, you basically choose a means to enhance your communication. By selecting the right one and making a choice that best suits your needs, you will be satisfied that you have started off on the right foot as far as the aspect of communication is concerned. 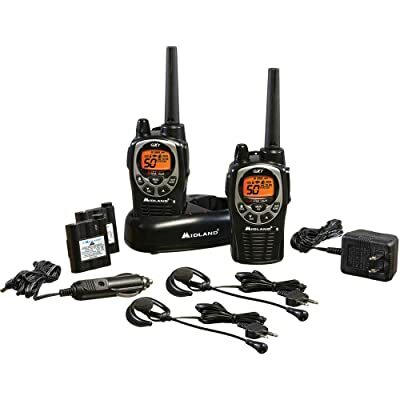 This way you will not only have all the benefits of having walkie-talkie communication but will also be able to avoid any common drawback of having to replace old radios that will not be the ones to work with what should have been your initial choice in the first place.